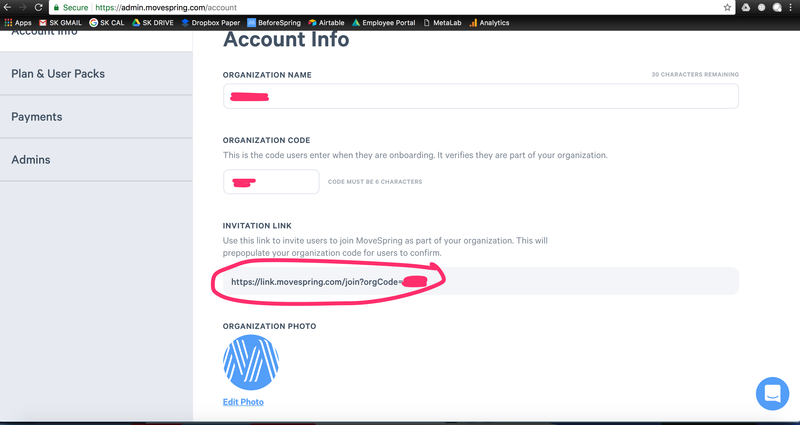 Use this article to assist you as you send initial invitations to join MoveSpring with your organization. On boarding to MoveSpring is quick and easy for participants. Users will need to join individually to create their account and connect their device. They can do this on our iOS app, Android app, or on the web at movespring.com. Learn how to create a challenge group here. You will want to create a challenge group before sending out on boarding communications. Once your challenge group is created, it will generate a challenge group link that you will send out to participants. The group invite link allows users to do 2 things at once: create their account and also join the group. If they already created an account, then the link will just add them to the correct group. New users will click the link, which directs them to download the mobile app or head to web. Then they will create their account, connect their device, and join the challenge. Through sign up they will automatically be placed into the challenge and will be associated with your organization. 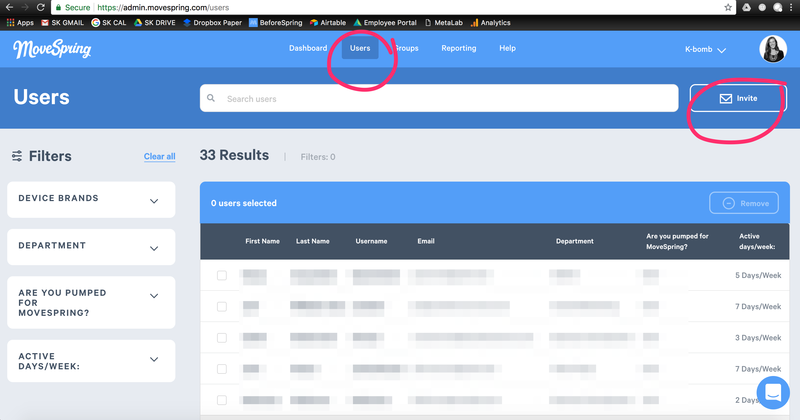 Once a user joins, you will be able to see their profile from the Users tab in the admin center and view their activity data in reports. You will not be able to manage a user, or see their account, until they have joined the MoveSpring platform. 1. When you finish creating your group, you will see a group invite link in the success modal. 2. In your group dashboard, which you can access by clicking on the word "Groups" in your top navigation bar, then your group name in the table. You'll "Invite Link" listed at the top of your Group Dashboard Page. 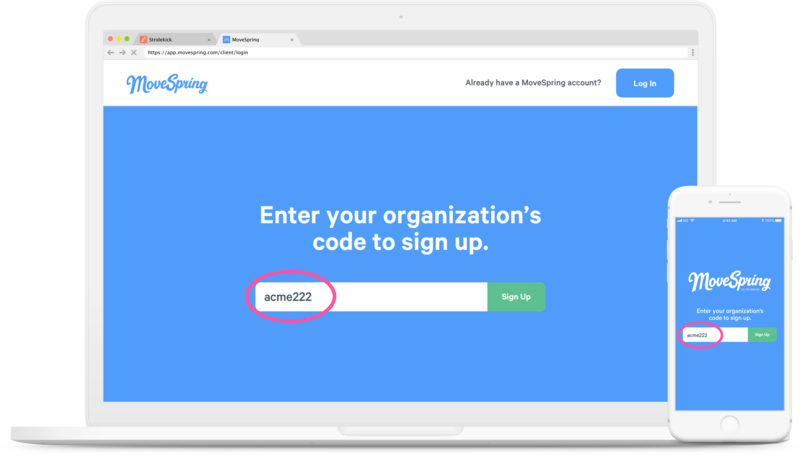 To ensure users join as part of your organization, they will need to enter an organization code when they sign-up. You can find and edit your unique organization code in the Admin Center in your Account Settings. Email or communicate this org code to your users with links to our website and app store downloads (see above). They will have to enter this code themselves. Send them your unique invitation link. This will pre-populate the org code for your users when they download the app. This ensures you don't have errors from users typing in your org code wrong. You can access this invitation link in 2 places. This does not add them to your active groups. It only registers them as part of your organization. Or you can access it by clicking on "Users" in the top navigation bar. Then click the "Invite" button in the top right of the screen. 3. You can also create a challenge group and share a challenge group invite link (recommended). 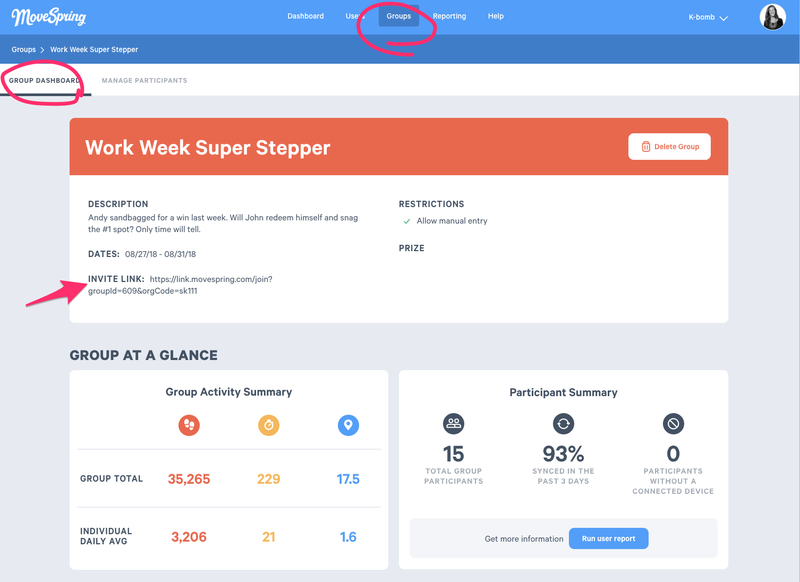 This will not only pre-populate the org code for users, but it will also automatically add them to your new challenge group. This is recommended so that users open the app and have something to engage with right away, rather than joining without a challenge group.